Today we decided to have a closer look at Mill Village, rather than just driving past it on the highway. Mill Village developed as a logging and lumber community because of the River Medway. We left the car at the Post Office and walked over this bridge which crossed the Medway. 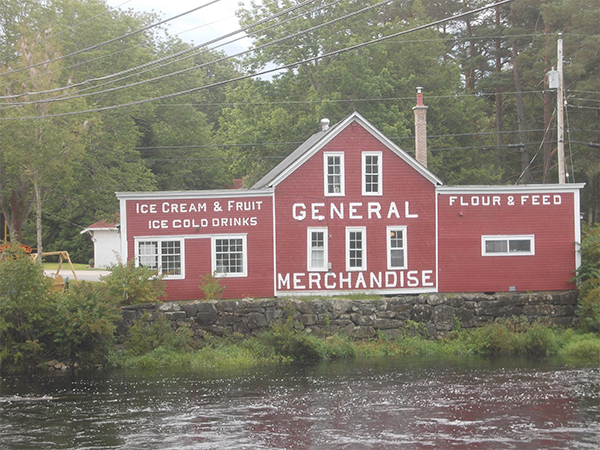 Right on the other side of the bridge, by the river, is this interesting old village store. The store sells most grocery items as well as Martock beef, chicken, veil and bison and Foxhill cheese. There is a gift shop and a very nice Cafe. We didn’t know about the cafe and had our picnic with us, but we still managed to try out their coffee and blueberry scones! Next time we’ll stop for lunch. The walk through the community is surrounded by ancient hard wood trees and pine trees. 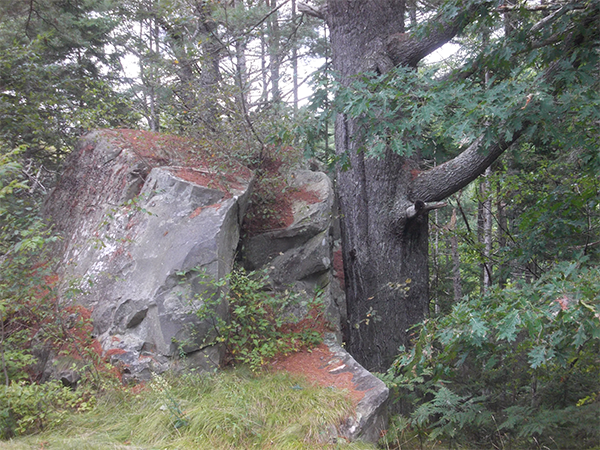 I loved the way this tree and rock made a natural scupture. 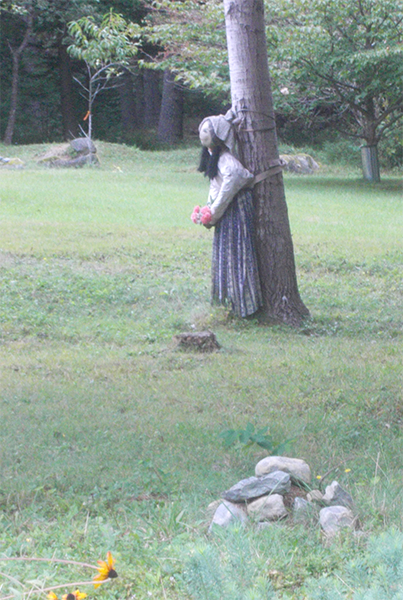 There weren’t many locals about, apart from this little girl, tied to the tree. Perhaps this is a local form of punishment? 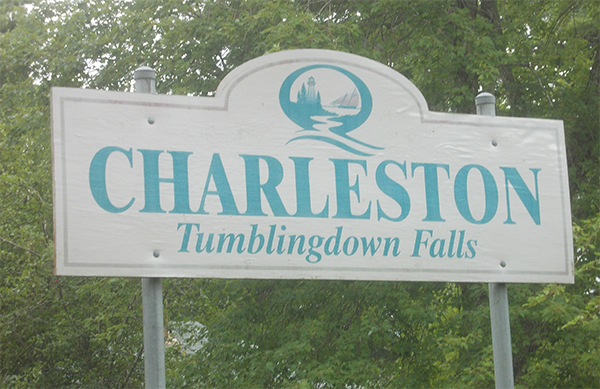 Next to Mill Village is Charleston, not Charlestown as in Fife. 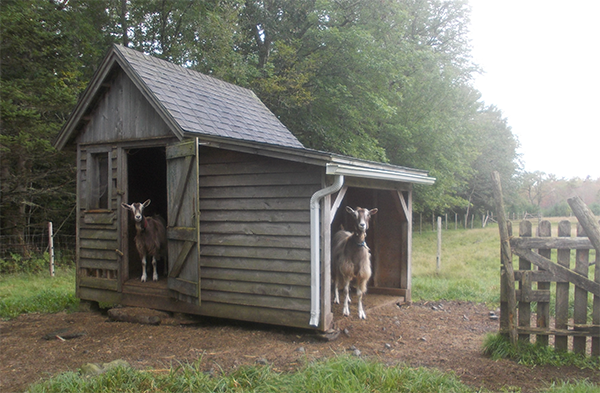 The residents of this house seemed very pleased to see us. As we walked back to the car, we had a last look at the River Medway. 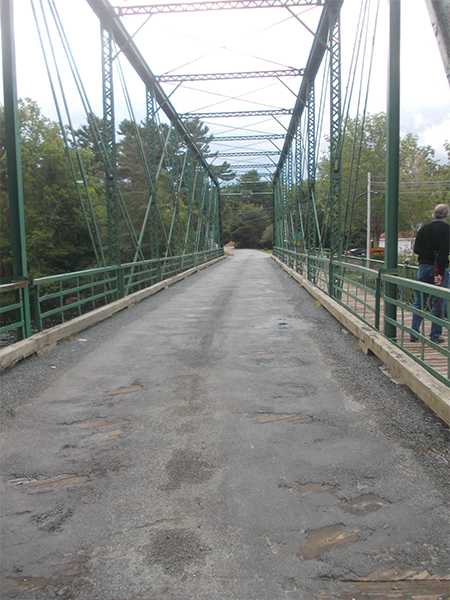 We will bring our bikes here in the fall and cycle up the Medway to Bang Falls. I think the colours will be amazing! What a lovely scenic village ! 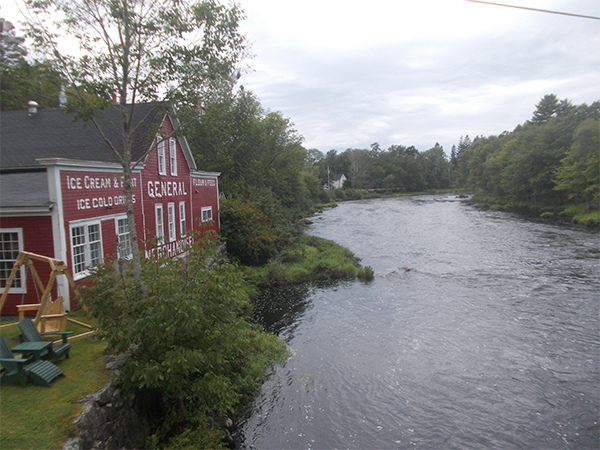 I had to go look it up on Google Earth and the next thing I knew I was “driving” across the bridge leading to the general store … I love exploring this province. 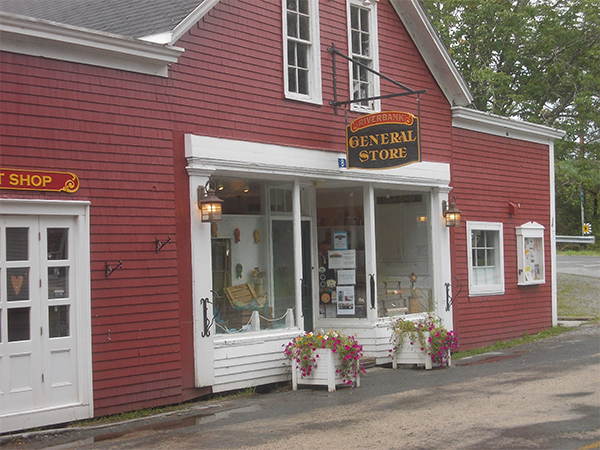 Yes, I looked at Google maps, street view, when I got home and the General Store is blue! I’m like you, I love finding new places. I think we must know more places in Nova Scotia than most people born in Nova Scotia! Keep up the exploring!